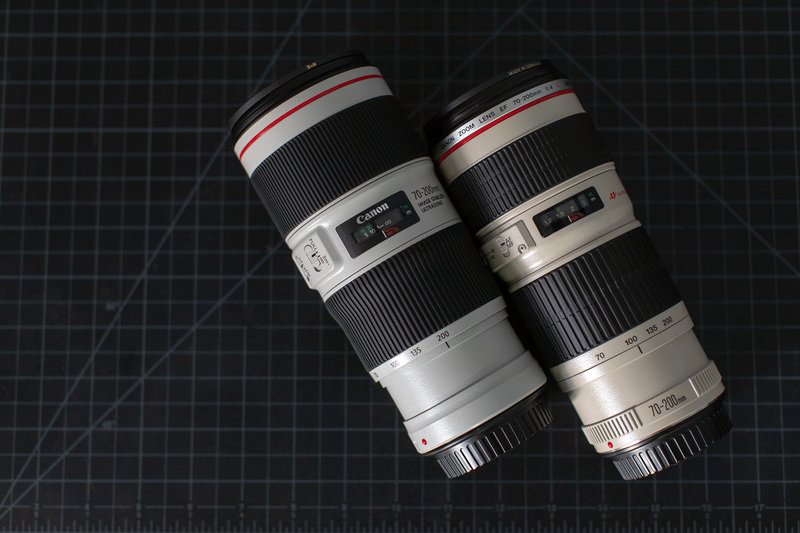 Back in the day, and it was way back, my first “L” lens was the Canon 70-200mm f/4L, which I chose primarily because it was a bit sharper and a lot cheaper than the 70-200mm f/4L IS. I moved on years ago. Those lenses were good back then, and perhaps adequate for quite a while, but didn’t have a lot going for them on high-resolution cameras. I was pleased Canon finally released the Canon 70-200 f/4L IS II; the lens was badly in need of an update, and I like the smaller size of the f/4 as a travel zoom. The price seems, well, fully valued, but not out of bounds (at $1,300). A modern IS unit is a big plus, the older version claimed 3-stops of IS but probably delivered half of that. 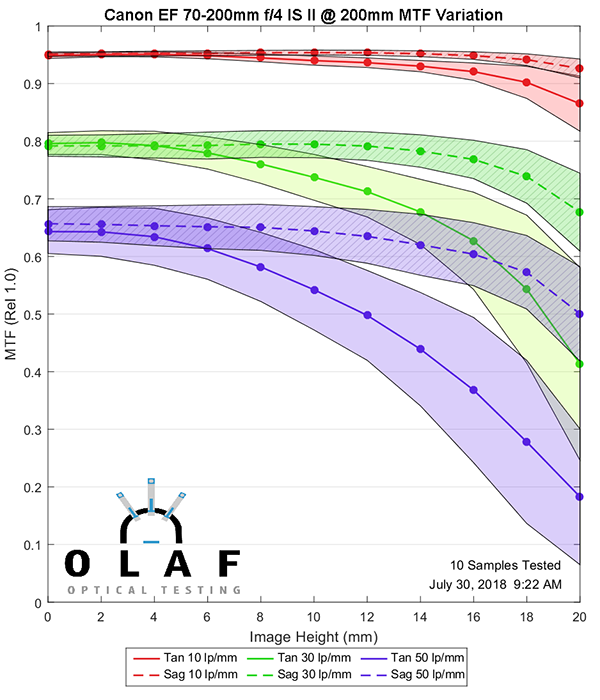 But mostly I wanted to know if the optics had improved because testing optics is what I do. So let’s do that. 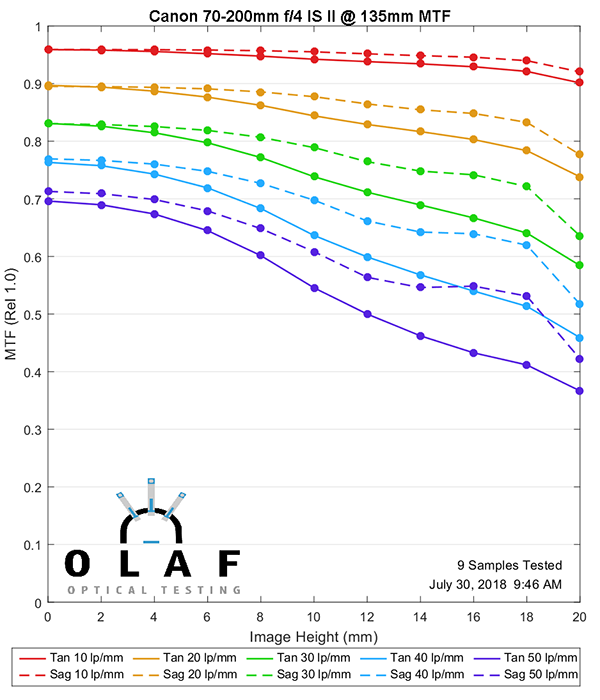 Performance is quite good at 70mm, especially at the higher frequencies (blue and purple lines) that high-resolution sensors resolve. As zooms do, it fades in the outer 1/4 of the image, but it’s excellent up to that point. 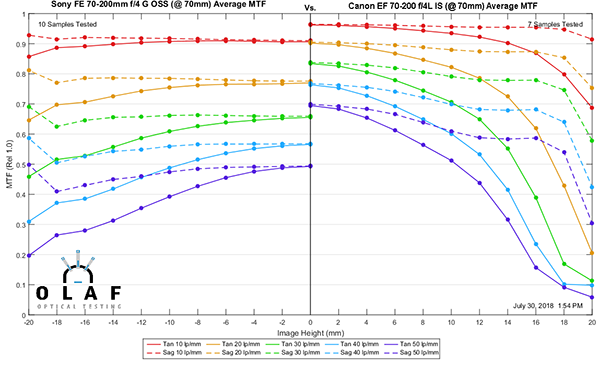 Performance is even better at 135mm, especially in the outer areas of the image. At the long end, center performance, while still good, isn’t quite as good as at the shorter distances. Outer areas of the image remain strong, though. 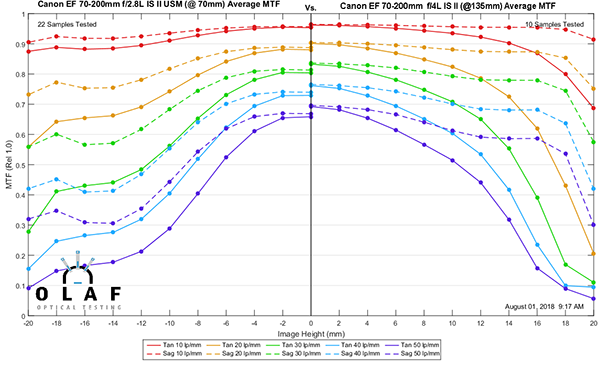 This is the critical comparison, where we find out how much improvement Canon has made optically in 13 odd years. The improvement is clear and quite dramatic at 70mm. From the center of the image out to 2/3 of the way to the edge the difference will be easily noticeable. The old version was weakest at 70mm and does better at 135mm. 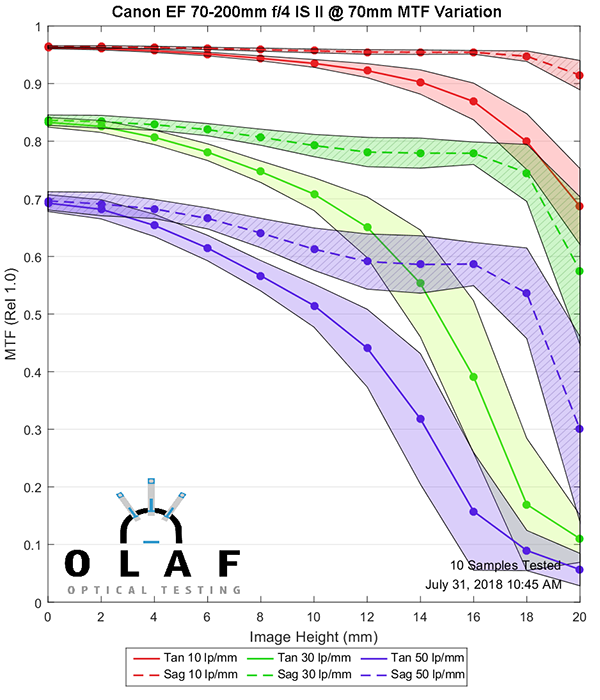 The difference is still quite apparent, though with the new one having higher resolution across the image and also less astigmatism-like separation of tangential and sagittal lines. At 200mm right in the center things are pretty close, and I doubt you’d notice the difference in the center of a photograph at 200mm. The new version maintains its sharpness further out, and again, has a lot less astigmatism-like separation. Away from center I think the difference will be readily apparent. 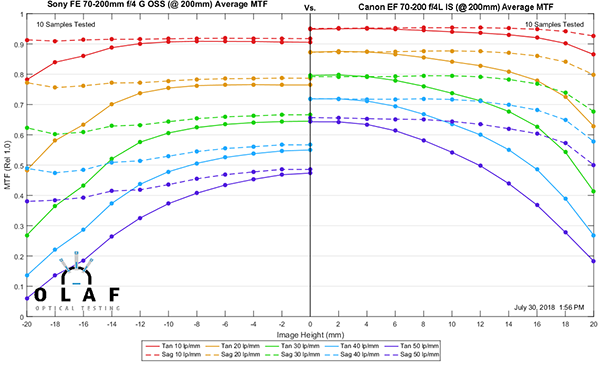 Optically, then, the new Canon is better than the last version at all focal lengths, but most dramatically so at 70mm. This is a comparison I make when deciding about a lens because I have 1) reasonable expectations and 2) do not believe in magic. If I can get smaller, lighter and cheaper giving up one stop of light and get at least equal image quality, then the lens has a use for me. The summary is easy; at all focal lengths, the f/4 at f/4 is a bit sharper than the f/2.8 at f/2.8. If we shot them both at f/4, then the bigger, more expensive lens would, indeed, be slightly better. But the f/4 is plenty good. 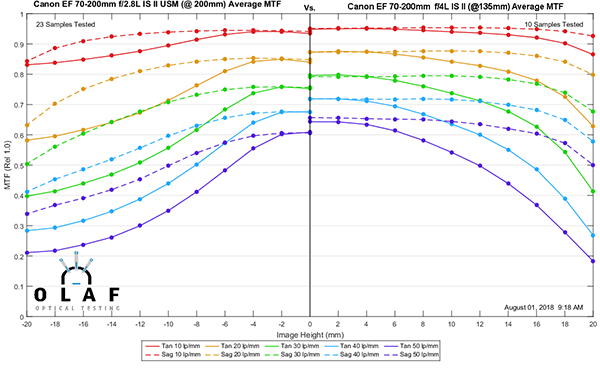 Of course, this is mostly ammunition for those wanting to have Fanboy wars, but I do know a fair number of people mostly shooting adapted Canon lenses on Sony FE cameras, so it has some real-world implications. 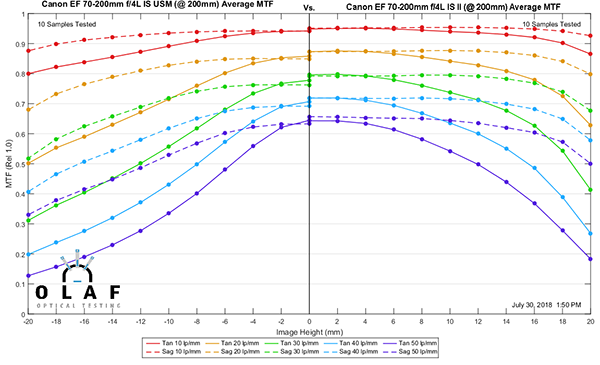 In this case, well, there’s some good reason to shoot the new Canon zoom on your high-resolution Sony camera; the Sony 70-200mm f4G OSS is just not a great lens. I’m not going to make any other comments because Sony Fanboys (who have pulled ahead of m4/3 and Leica Fanboys as the most strongly opinionated on the internet) will be pulling out their conspiracy theories as usual and I always enjoy reading those. 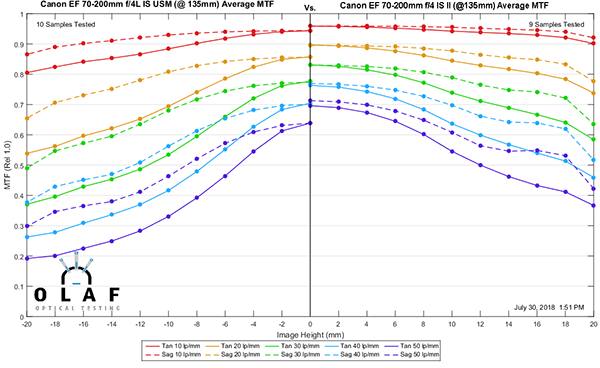 This really isn’t Fanboy fodder; Nikon shooters seem to be pretty logical about things and don’t take it as a personal affront to their ideology when one of their lenses isn’t the-best-ever-MTF. 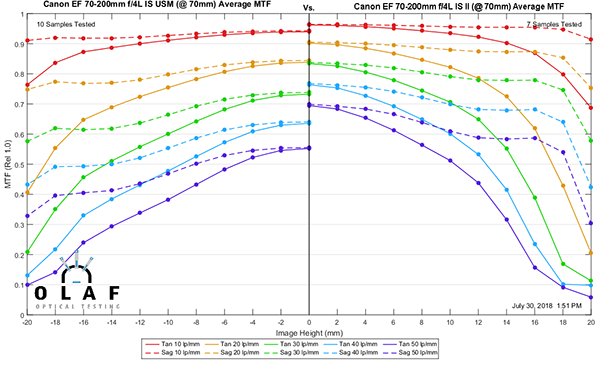 I was curious about this, though, because despite being a 5-year-old design, the Nikon 70-200 f/4 G remains a very popular lens; arguably the best of the 70-200mm f/4 offerings up until now, especially at the 70mm end. 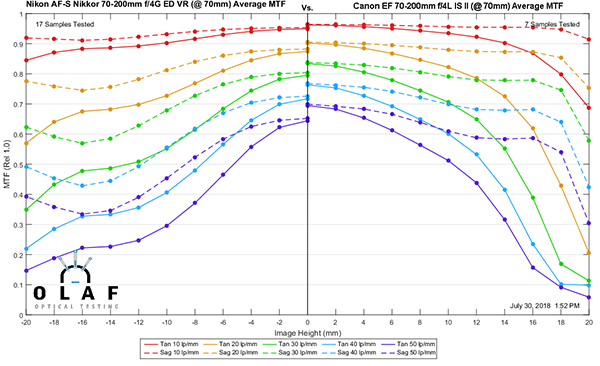 There’s a difference here, but the Nikon hangs closer to the new Canon at 70mm than any of the other options. There’s a bit more difference at 135mm, but the Nikon is still performing admirably. The Nikon is at its weakest at 200mm, and the difference here is more significant. With the lens being both f/4 and telephoto, we would expect field curvature to be fairly minimal, and that is indeed the case. 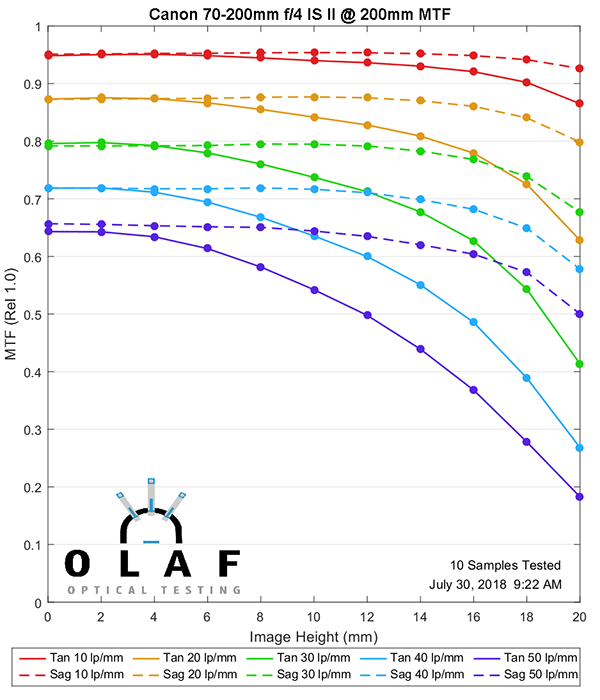 I was curious about the 70mm end; it’s impossible to tell from the MTF curve alone whether the lens is truly getting softer at the edges or if the field is curved enough to pull down the MTF. 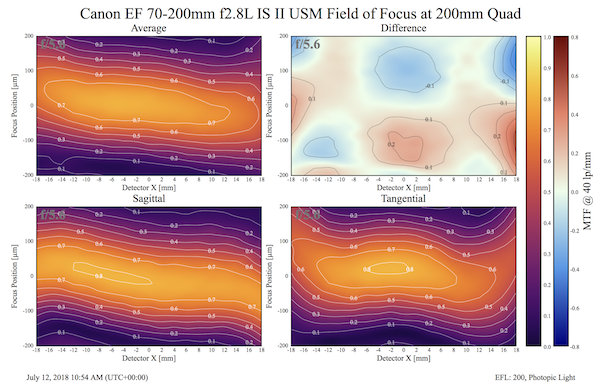 The 70mm MTF versus Field versus Focus graphs show that in the Sagittal plane (lower left) there is very gentle field curvature, but softening at the edge of the image. The Tangential plane (lower right) softens more but has a pretty significant curvature in the outer 1/3 of the image. Basically, do as you will, the very edges of the image at 70mm are going to be astigmatic and softer. It’s a zoom, after all. At 200mm the Sagittal field is quite flat and not softening at the edges. (This copy has a slightly tilted field, but again, it’s a zoom and this is what zooms do.) The Tangential plane is now curving in the opposite direction, although less severely than it did at 70mm. I tried to guess where the field would flatten out. Given the MTF curves I thought it would be a little past the 135mm so I did the MTF v Field v Focus test at 145mm. I was close; shooting around 140m to 150mm would be the best focal length to achieve edge-to-edge sharpness. I have no idea if anyone cares, I just wanted to try some sciencey stuff. 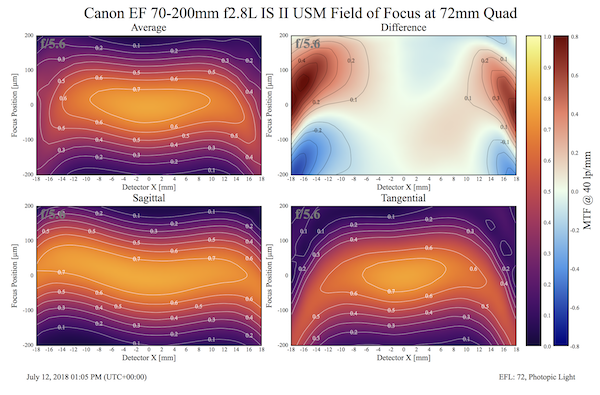 The bottom line is that the field curvature isn’t severe, except at the outer edges of the image, particularly at 70mm. You’re not going to be able to do a lot about the softening that is going to occur right at the edges. It’s not severe, but it will be noticeable. 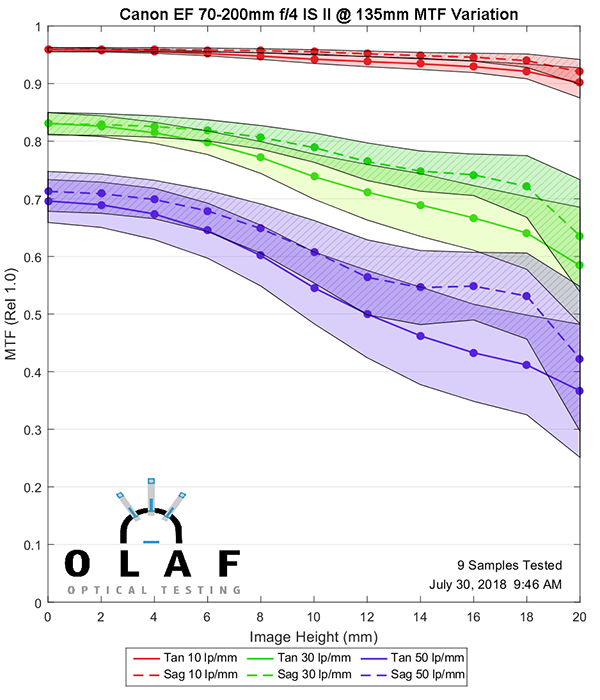 We did measure the variation of 10 copies at each focal length. 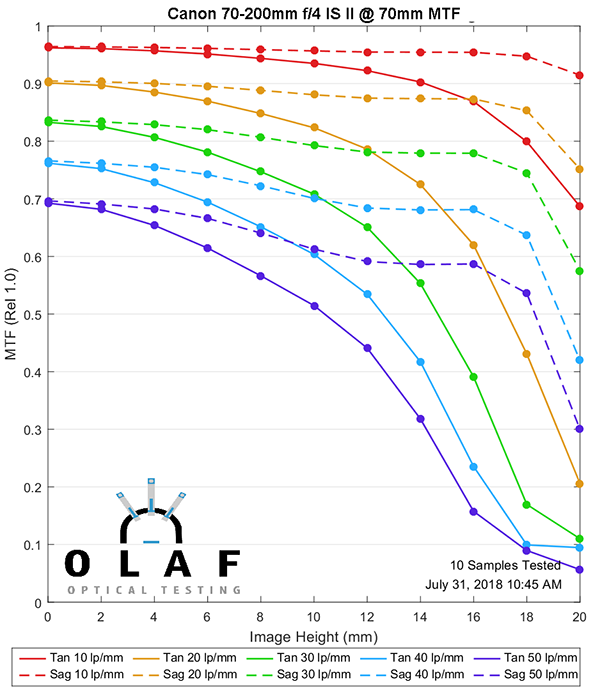 Zooms, of course, tend to have a lot more variation than primes so we’re usually expecting some ugliness at one focal length, usually the long end. The quick summary is these are simply outstandingly consistent from copy-to-copy; the least variance of any zoom we’ve ever tested. 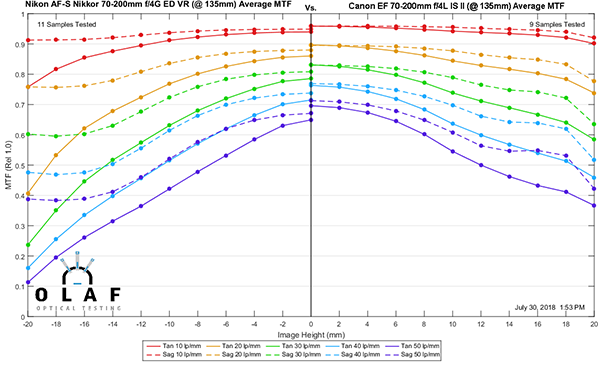 f/4 lenses have less variance than wider apertures, and telephoto lenses tend to have less variance, so we expected it to be good. 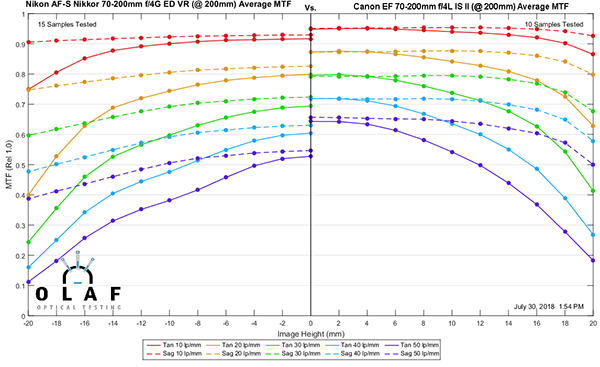 But this is far less variance than any of the other 70-200mm f/4 lenses (including previous Canon lenses) we’ve tested, and it’s really not close. 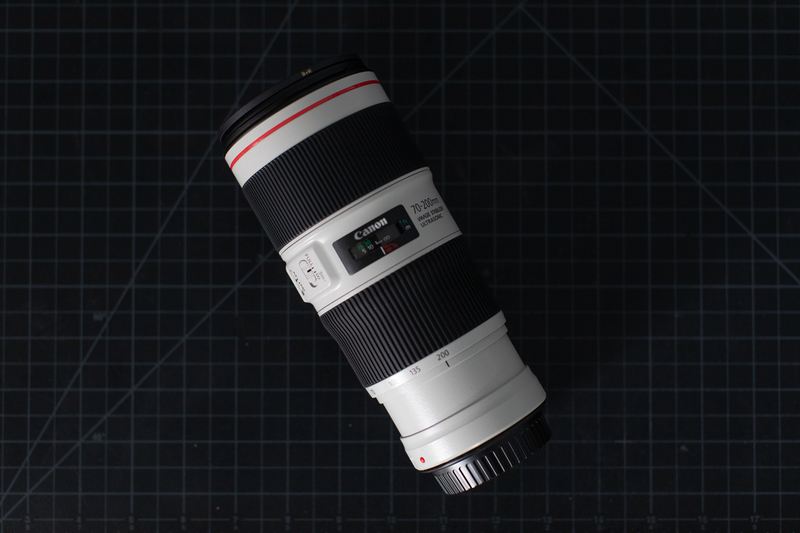 We hear Canon is doing a lot more automation and robotic assembly than other manufacturers. This lens suggests that stuff is working. Kind of makes you want to tear one apart and look inside, doesn’t it? Somebody should do that. It’s really, really good. It’s extremely consistent with low sample variation. Optically it’s everything I hoped for. 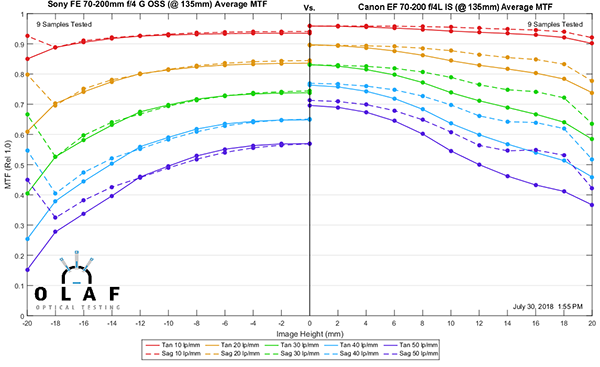 Actual reviews are starting to trickle in, and if the IS and autofocus are as improved as the optics, this should be a home run for Canon. The Canon 4,0/70-200mm II is a great lens indeed, but for me the sharpness fall-off at the frame edges and corners at 70mm is still unacceptable.